Traffic… the life blood of every online business. The problem is, are you getting enough of it to make your online business grow to your expectations within the time period you have set? In my mind you can never have enough traffic But the fact remains, NO Traffic, NO Profits, NO Business. Though there are many ways to generate traffic online, both FREE and Paid, the question remains, which method or methods are right for you and your business to get it moving and profitable in as little time as possible? Now, with that being said, what I’m about to share with you IS a ‘Proven’ way to create an avalanche of FREE targeted traffic to your website, without having to pay a single penny. This is ONE of many of the tactics the guru’s online use to get the word out ‘Quickly’ about there NEW product and/or service. But, before I move on any further, let me first explain what “T.O.D.” stands for and what it is so there won’t be any confusion through the rest of this article. “T.O.D.” stands for — “Traffic On Demand”. What is “Traffic On Demand”? It’s simply an website and/or list owner with a large ‘eMail List’ of subscribers to which he/she can Blast an email out to at any time absolutely FREE about whatever they want as long as it’s related to there target audience. Now, your probably wondering, “Well, how’s T.O.D. going to benefit me? You proposition the website and/or list owner with a JV(Joint Venture) proposal they simply can’t refuse. For those of you who don’t know what a ‘Joint Venture’ is it’s simply a business partnership between two or more parties that agree to share the $$Profits$$. If you’ve been online for any length of time I’m sure you’ve heard of ‘Joint Ventures’ at least somewhere online and how people claim is how there Internet fortunes were made. There’s good reason for there claims simply because they already knew where to find an ‘Hungry’ targeted audience waiting for what they had to offer known as “T.O.D.”. All they had to do was take the time to contact and proposition the website and/or list owner with a JV proposition they counldn’t refuse. And belief me when I say this, there are literally MILLIONS of websites out there just waiting for you to hit them up with your Product or Service so they can send it to there lists of subscribers and collect there share of the $$Profits$$. And, here’s another quick tip… make sure you ‘Personalize’ the JV proposal you send, otherwise, they won’t give you the time of day and will discard your hard work as SPAM. Now, how can you get started – Starting Today? 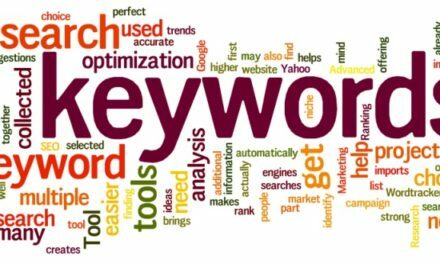 The ‘Search Engines’ are a great place to start under the keywords related to your product and/or service. You can also go to ‘Ezine/Newsletter Directories’ and search through there database of list owners to find relevant JV partners. Keep this in mind that not all the website and/or list owners you contact will jump on your JV offer. If you don’t here from them within a few days or a week, send out an follow-up email just in case your first JV proposal didn’t get through to there Inbox, otherwise, keep on searching and keep on contacting.